Look here: 1. 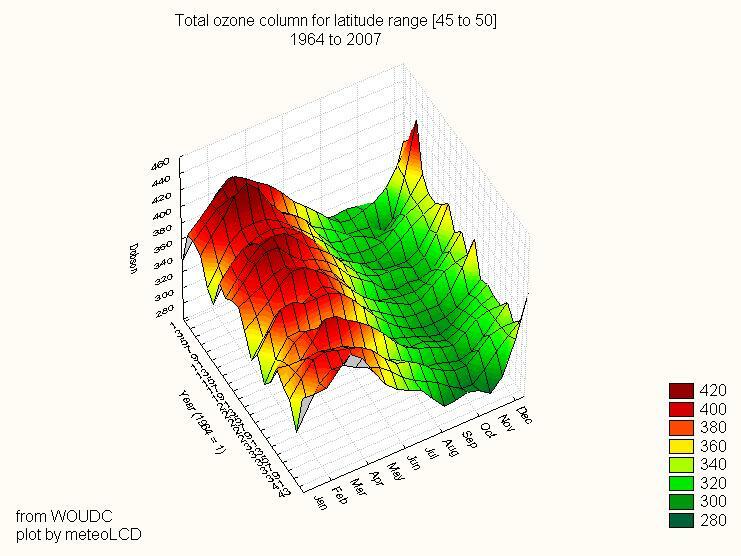 Intercomparison between the ozone measurements of the Microtops II and those made by the Brewer instrument at the RMI at Uccle: 2011 and previous years. Attention: blue lines correspond to measurements done using instrument #3012 (operator Mike Zimmer). The data in the table are the original readings multiplied by a calibration factor. 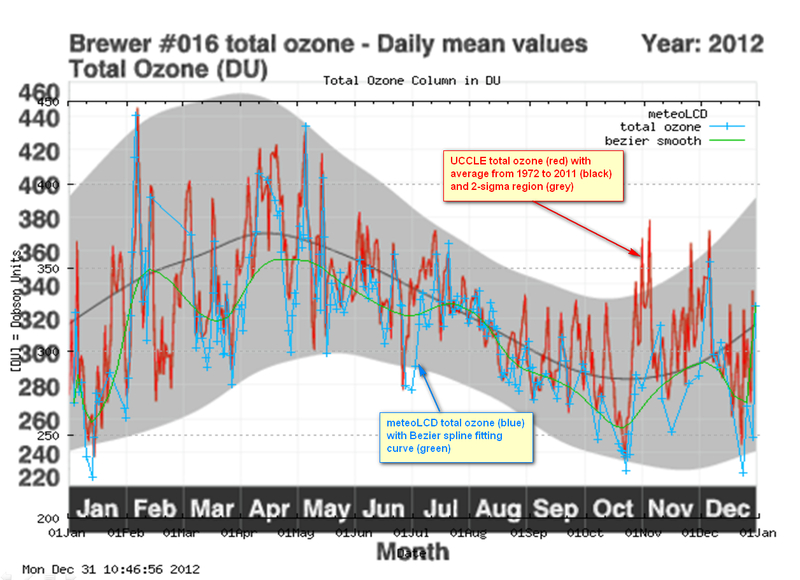 2012 from 1st March on: factor = 0.929 (Comparison tests made from 14Mar to 16Apr 2012, blue sky readings only). On 23 Jan 2011 the WOUDC has 498 contributing stations; only 57 ( = 11.4%) have full yearly data for the 2001-2010 period. MeteoLCD is among them!